For the price - really nice place. Clean and good space of the room. The room smell nice. I would fully recomend for everyone who does not need to sleep in place for 100-200 dollar per night and keep good quality for overnight staying. The receptionist was the best thing about this little hotel! She was very sweet and kind, even though her English was limited she really did try to make us feel at home. 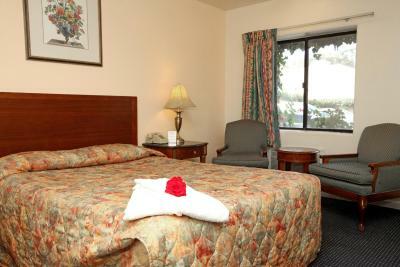 The hotel is in a good location, close to Fisherman's Wharf and amenities, and there is free parking. Price was good. THERE WAS NOT ANY BREAKFAST AT MOTEL. THE LOCATION WAS GREAT. Bed/pillows comfortable. Air conditioner quiet and efficient. Clean. Nothing - Booking.com should not have this property as part of their portfolio. It s a Motel !!! It means one or two is enought for overnight. Normal Inn. Near beautiful beach. Good for overnight. Free parking. Accommodating friendly staff allowed me to check in 1 1/2 hours before 3 PM, plus allowed me to leave my car parked on property at no charge until 3 PM the day I checked out at 10:30 AM. 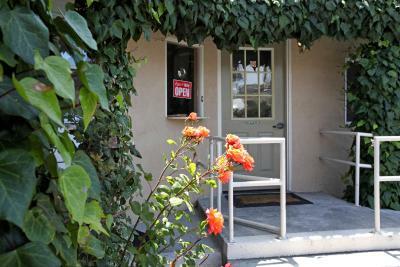 Great location with access to Monterey Bay Coastal Trail just across the street and a convenient short bicycle ride to area attractions and dining. Excellent complimentary WiFi Internet access speeds: 30Mbps downloads and 6 Mbps uploads (www.speedtest.net). Parking was available. TV was ok. Sheets and towels clean. Check in and out process was simple and no fuss was made. This Monterey, California inn is a 3-minute drive to Monterey State Beach. The inn features free Wi-Fi in every room. The Monterey Oceanside Inn offers guest free parking. The inn has a 24-hour front desk. 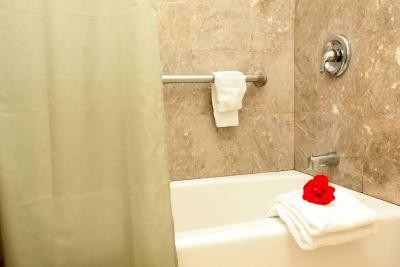 Rooms at the Monterey Oceanside feature a marble bathroom with granite countertops. 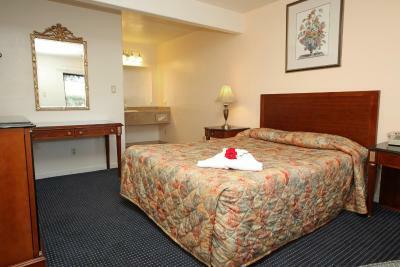 The rooms are equipped with air conditioning and cable TV. The Monterey Oceanside Inn is across the street from a recreational trail. The inn is within a 6-minute drive of the Monterey Bay Aquarium. The Monterey Museum of Art is 2 mile from the inn. Monterey Oceanside Inn посреща гости на Booking.com от 18 март 2010 г..
Кога бихте искали да отседнете в Monterey Oceanside Inn? 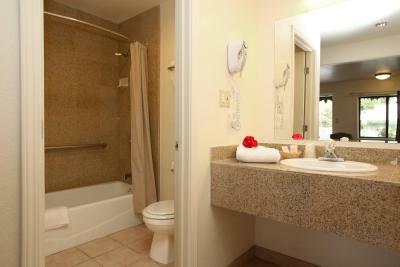 A 40" flat-screen cable TV and a bathroom with marble features are available in this room. Безплатно! Безплатен обществен паркинг е достъпен на място (резервация не е необходима). Важна информация Monterey Oceanside Inn приема специални заявки. Добавете ги в следващата стъпка! Безплатно! До две деца под 14 години остават безплатно при използване на съществуващите легла. Всички допълнително по-големи деца или възрастни се таксуват USD 8 на нощ и лице при използване на съществуващите легла. Има 0 капацитет от допълнителни легла в стаята. Monterey Oceanside Inn приема тези карти и си запазва правото да блокира суми от вашата карта преди пристигането ви. Трябва да представите валидна лична карта и кредитна карта при настаняване. Моля, обърнете внимание, че специалните изисквания не могат да бъдат гарантирани и зависят от наличността при настаняване. Възможно е да се прилагат допълнителни такси.